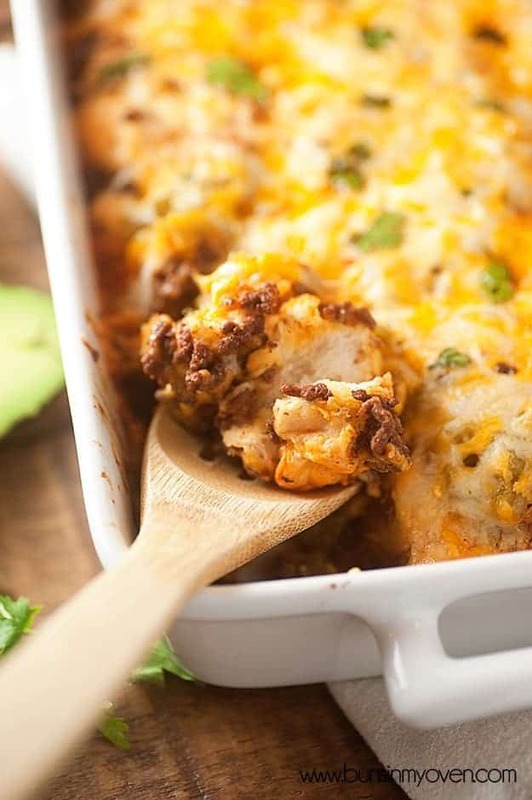 This enchilada recipe has quite the twist! 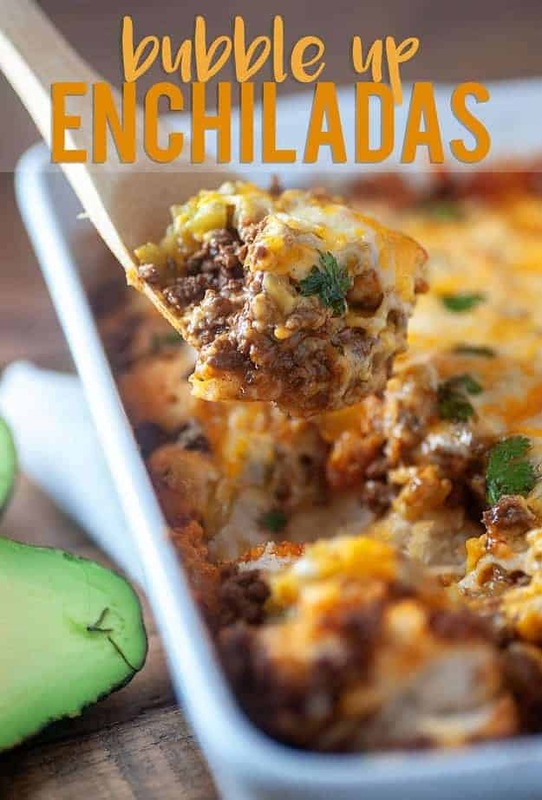 It’s made with canned biscuit dough instead of enchiladas and it’s so much fun! My favorite holiday of the year is coming up soon. Any guesses what it is?? Apparently, it’s not that big of a deal in Mexico. Americans have sort of taken it over and turned it into a big taco fest and I’m absolutely, 100 percent okay with big taco fests. Taco fests are my jam. This year, I thought we’d experiment with some other recipes, though. My family will only eat tacos for 3.423 meals in a row before they start giving me dirty looks. Enchiladas are always a favorite, but when I got it in my head that I needed enchiladas for dinner, I was all out of tortillas. The horror! I mean, honestly. We are much more likely to have tortillas in our house than sandwich bread. My husband finds this odd, but you’d think he’d understand me after nearly 20 years of marriage. So, anyway, when that enchilada craving hit, I improvised and used canned biscuit dough. I always have tons of tubes of dough in my fridge. Is that weird? I don’t think so! They’re so versatile. (my favorite kind is from Trader Joe’s, but any canned or homemade sauce works here! ), and then threw the rest of the enchilada fixin’s right on top. Couldn’t be easier than this! You can totally customize this to fit your family’s tastes! Use ground or shredded chicken instead of the beef. Swap out green enchilada sauce for the red. Toss in some black beans and chopped tomatoes. The biscuits “bubble up” as they bake, which is how this gets the name! You’ll probably notice that I have a lot of Mexican inspired recipes on this blog. I’m just a white girl in the middle of a bunch of cornfields, so I don’t claim that these are authentic, but they sure hit the spot for my family! 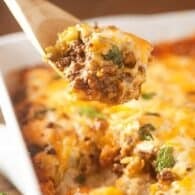 You might like my low carb taco casserole or my fried tacos, too. Oh, and my taco lasagna? Seriously good stuff. 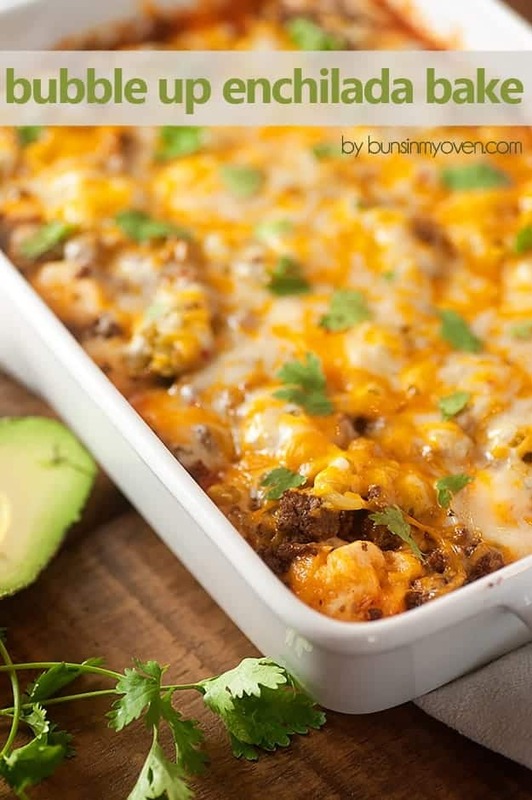 This bubble up enchilada casserole gets it's name from the way the biscuits bubble up as they bake! It's always a hit with my family. Open the biscuits and slice each biscuit into 8 small pieces. Add to a medium bowl and pour the enchilada sauce over the top. Stir to coat. Brown the ground beef in a large skillet. Drain the grease and stir in the taco seasoning and 2 tablespoons of water. Stir in the green chiles. 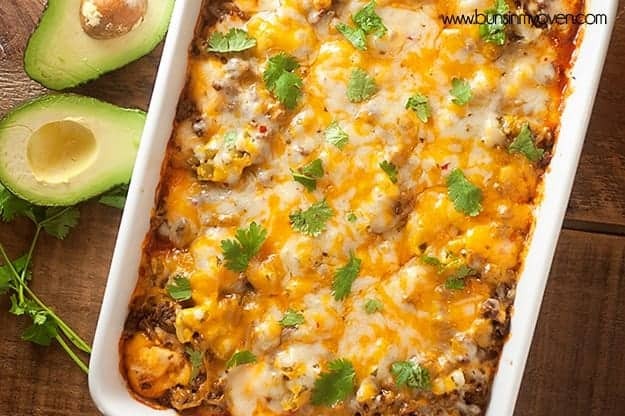 Pour the biscuits and enchilada sauce into a 9x13 baking dish. Top with the ground beef. Sprinkle the cheese evenly over the top. Bake for 30 minutes or until the biscuits are cooked through and the cheese is fully melted. Top with cilantro, avocado, sour cream, hot sauce, etc. Hi Karly: I’m a grandma, great grandma, wife, mother & I love to cook. I just wanted to drop you a line to tell you how much I love your site & your recipes – you rock girl! I love having my family come in and we plan potlucks where everyone brings a dish (I will add, it get’s really interesting to say the least), I’ve gone to your website and thrown together one of your recipes more than once and they’ve always been excepted with great reviews. Keep up the good work honey, Nana is out here rooting for you. I’ve Made this twice and it was well applauded! Definitely is at the top of my pot luck list! Look forward to other recipes. Thank you…..Christine Whitehead, Richmond, VA ??? 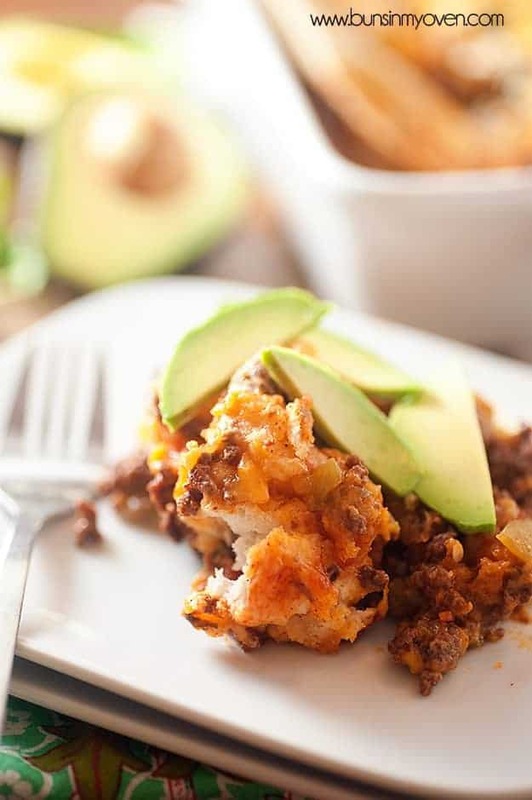 How about an easy Mexican rice…..love Mexican! Love your site, Karly! I’m newly retired so I have more time for making yummy dishes! That enchilada dish was such a winner! I don’t have a Mexican rice on the site, but I do have this quinoa recipe you might like! 🙂 I love Mexican flavors too! Add a cup of salsa when making normal white rice. for ore recipes. Enjoy your 4th holiday! ????? Hello, I was wondering what you would recommend to substitute the meat for veggie options? Thanks. 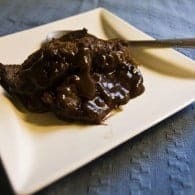 Came across this recipe on FB. Decided to try it out of sheer curiosity. To begin with, it was probably the easiest and fastest casserole I’ve made. Secondly, it was delicious. I expected it to ber more doughy but it wasn’t, which is a good thing. I could only describe it to a friend as a deep dish enchilada pizza. 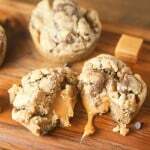 Has anyone ever tried baking this in muffin tins as little appetizer bites? Glad you enjoyed this one! I think this would be fine in muffin tins with just a couple of pieces of dough per cup. Great idea! I’m not sure this would hold up well like that. The biscuit dough might not react well being covered in liquid for so long. 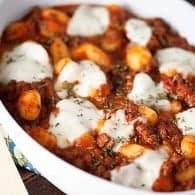 What size pan did you use for this recipe, a 9X13? I will bake the biscuits first as I did not care for their texture in the dish. This is so good and I love how simple it is to prepare !! I have made this a few times eversense I came across your recipe. Thank you so very much for sharing ? Hi, I just found you and will definitely be trying some of your recipes. I am a little confused on the preparation of the biscuits in this recipe. It says to slice into 8 small pieces. Am I slicing crosswise in 8 thin layers or cutting crosswise into thick but small pieces? Can’t wait to try it, maybe even tomorrow. Thanks so much for sharing. I cut mine like pizza, and then make them into little balls. Comes out great each time. Hi, just watched your video and got the answer to my question. It looks like a great recipe and really easy. Can’t wait to make it. Thanks again. Is the biscuit can size 5 or 8 biscuits? I used 5 and it was perfect. Excellent recipe – it was very tasty. I added a few of my own ingredients to the meat such as poblano pepper, garlic, onion, and black beans… along with more spices and some adobo pepper. I like its versatility! 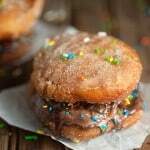 However, it did not work for me as written as far as baking – I had to make some changes and thought I should share. I started it as-is, biscuits & sauce on bottom and meat on top. I baked it for 30 minutes and the middle wasn’t bubbling up. I gently stirred it up and put more cheese on top (of course) and had to bake it for another 15-20 minutes, keeping an eye on it every 5 minutes or so until it got to the doneness I wanted. The end result looked exactly like yours. I think stirring the meat mix in with the biscuits and sauce prior to baking would yield better results for some. 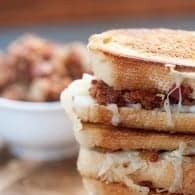 One of my favorite recipes! I first saw it on Facebook and me and my husband have made it numerous times since. When some of my friends and I get together to make dinner I love to suggest this dish and it’s always a hit! I love garnishing it different ways depending on what I’m feeling. After reading some comments, I’m interested in adding other things to it such as corn! do you think croissants in place of biscuits would work? Prebaked croissants or the dough? I’m not sure in either case, but you can certainly try! Added onion and extra cheese. But we love this. I have made this several times and love it! I have added black beans, corn, black oilices. I have used green and red enchilada sauce and prefer the green. Trying to figure out how to use corn muffin or corn biscuit batter. Very annoying that there was not way to print without cutting and pasting. I don’t read off my phone while I cook and I also like to take a printed version to the grocery store. There is a print button in the recipe card. My husband sent this to me so I ran out and got the ingredients as listed and made it right away. I checked after 30. Minutes baking and didn’t seem to be done just by looking at it. I added a total of 10 min to the baking tim. It turned out great! Thank you for sharing. I read all the comments and ignored the nay sayers. Glad I did. Everyone loved it. I didn’t have any toppings but I would not skimp out on those! It’s plain, otherwise. The taste was absolutely amazing. One substitute… we didn’t have enchilada sauce, but used a can of chili (withoug beans) with just a bit of added water so we could coat the biscuit nuggets. But… once it was cooked, we couldn’t get over the mooshy doughy texture of the biscuits. We saved the leftovers… but we scraped everything off the little “biscuit nuggets” to save (threw out the “nuggets”). Even with that… it sure did taste awesome!